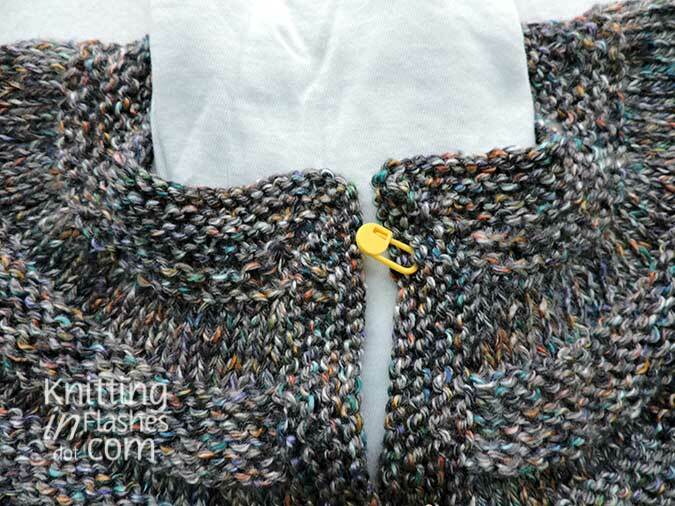 This entry was posted in knit, knitting, knitting pattern, sweater, yarn and tagged knit, knitting, sweater, yarn by Patti_is_knittinginflashes. Bookmark the permalink. I think it looks fantastic! Does it look different if you try it on? Thank you! No, the neckline bothers me when I try it on…which might be corrected with blocking. But the buttonhole is still off. Ripping it back to the buttonhole placement just might be what I need to do and take into account the added inch at the top buttonhole. 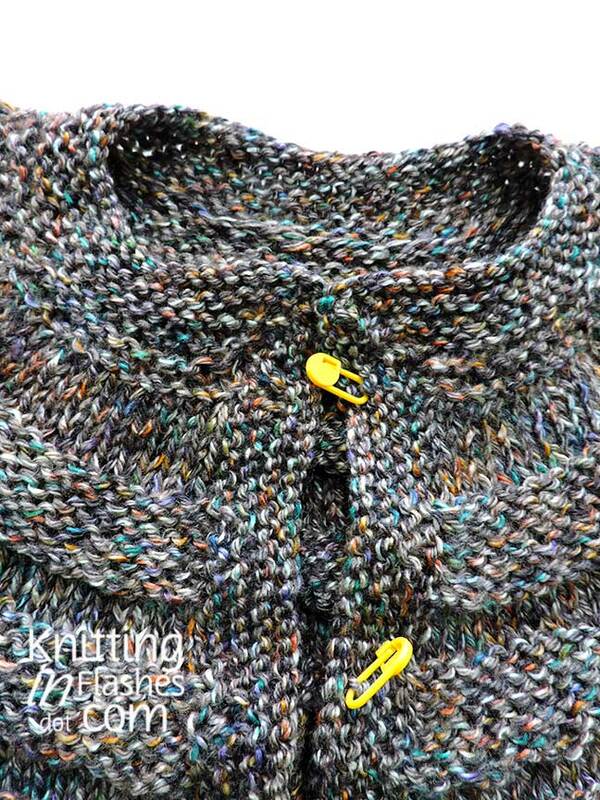 It shouldn’t be all that difficult, just time consuming…unless I change the entire neckline area. I think it looks fantastic. My knitting skills are nowhere near skilled enough to make something like that. I am glad you can fix it fairly easily, though those are long rows! It’s pretty otherwise! It’s the buttonhole placement that’s bothering me the most. I can see why you do! And buttonholes can be moved. Easier than if it was a shirt! 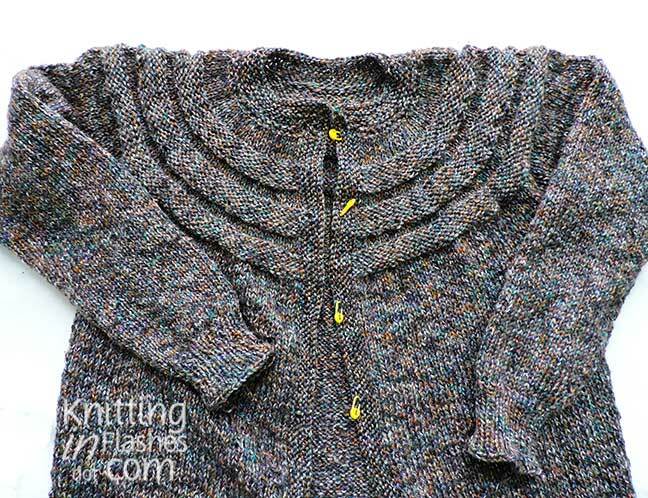 Hopefully you can get the neckline sorted out, the yarn is so pretty with all its colors!